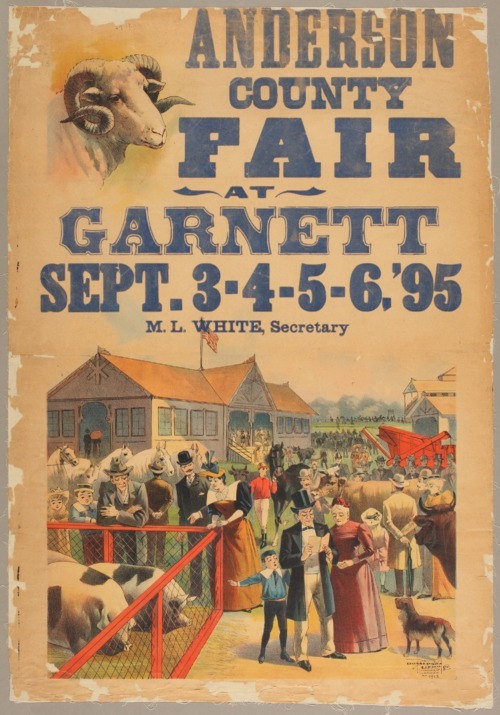 A crowd is gathered on the fair grounds in this Anderson County, Kansas, fair poster. Adults, children, livestock, farm implements, and buildings are featured. M.L. White is listed as secretary of the fair.